As one of Davis & Company’s talented graphic designers, Stacy uses design and technology to create award-winning videos, print publications and interactive designs for our clients, as well as for Davis & Company's marketing initiatives. Stacy joined Davis & Company in 2002 and has worked with clients, such as International Flavors & Fragrances, Nexteer BD. 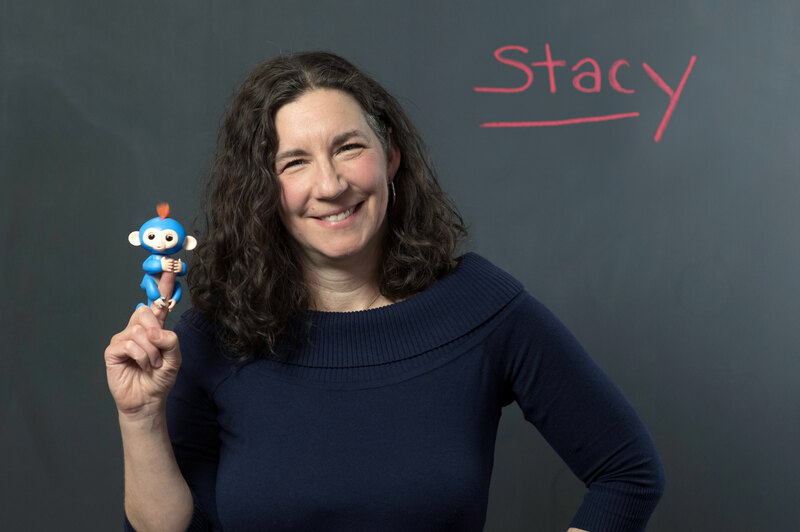 Stacy’s strong multimedia background, which also includes music composition and sound design, allows her to be creative and efficient in a variety of media—from dynamic videos and animations to interactive infographics and websites. Stacy holds a bachelor's degree in fine arts from The Cooper Union for the Advancement of Science and Art in New York City. She continues her education through online courses and lectures. Her favorite way of finding inspiration is searching YouTube for the latest talks from experts in her field. An animated video done in a watercolor style. It wasn’t exactly on brand, but it was beautiful and turned out just as I envisioned it. The thought that every day I get to think outside the box and make smart, creative decisions in the work I do. Google Maps. I’d be lost without it! Holistic nutritionist or dog trainer. Kale and dogs are my favorite. Videos or animations. I love working with moving pictures and sound. What do you like to do while you’re sketching a new concept? I like to think that I am sketching something brilliant. I saw the most amazing full moon in Sedona, Arizona that spiritually connected me to my Dad who had recently passed. Whenever I see a full moon now, I think of him. Kid’s Netflix and chill with my five-year-old son. Case of You by Joni Mitchell. What’s your favorite lunchtime meal? Chickpea burger on top of the Thai Kale salad from Nectar Café in Glenrock, N.J.